Step out from behind the desk and see your visions become reality. For those who like working with their hands, a construction degree is the perfect program for you. No matter where you go in the world, a wealth of opportunities awaits you. A construction degree requires an individual who pays attention to detail, is good with their hands, and is ready to commit to a challenging program. It’s also great for students who want to step out from behind the desk, get out of the classroom, and put their newly-learned skills to the test. Do you love to travel? You can even study construction abroad! The skills necessary to construct, fix, and maintain structures are in high-demand worldwide. So, no matter where you go, you will find an ample amount of work, and employers looking for new talent. Try your luck with the American Dream and study construction abroad in the United States. Or, if Europe is more your style, take your education to the Netherlands. Either way, after graduation, you will be part of a growing workforce responsible for growing new cities and preserving old ones. 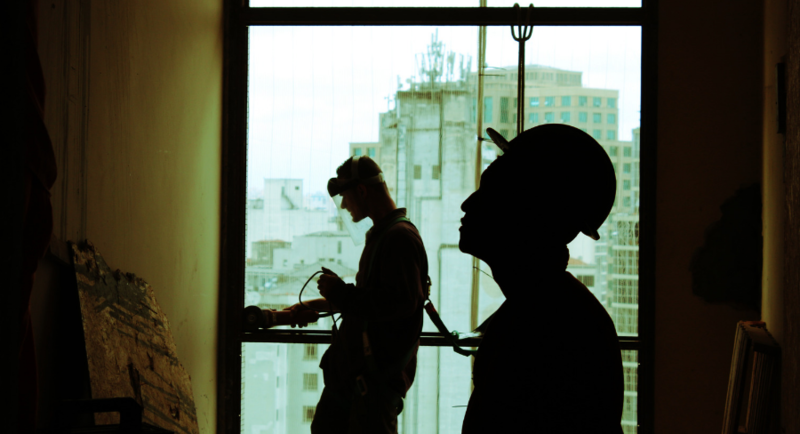 Don’t miss your chance, look into a construction degree abroad today! If you want to make the most of your education, consider studying at one of the best construction schools at home or abroad. Many construction degrees are offered by architecture schools and often include specializations in construction management or surveying. A specialization not only increases your employability but also grants you the opportunity to work on diverse projects around the globe. The typical day in the life of a construction student often begins on-site working with the professionals themselves learning the tricks of the trade. However, there is also required classroom time in which students are expected to attend lectures and complete assignments individually and in groups. After a long day on the construction site, it’s time to relax and enjoy your new city with your new friends. Try out new restaurants and bars, visit new museums, and meet people from around the world, all while studying construction abroad. With a construction degree, no dream is too big. Studying construction opens up almost unlimited opportunities for people around the world. With a degree in construction, you can work on any number of diverse and interesting projects around the world. You’re only limited by your own imagination. The best construction schools will often require that prospective students have demonstrated they have previously performed well in their classes, especially classes within the sciences. Both undergraduate and graduate students will have to provide a copy of their academic transcripts, along with any standardized test results. International students will also have to prove their English proficiency, as many construction degrees are conducted entirely in English. If the program requires another language, you may also have to prove you have proficiency in a second language. An essay will also most likely be required to complete your application.